Comedy is popping up all over! Hotels, bars, schools, podcasts, charities, and obviously the world wide web. Especially with the rise of social media, comedy can be shared in real time and in person. We have moved past the days of traveling through a comedy circuit/trail/belt to see a handful of great stand up comedians in person… Today, stand up artists have the access to be right in your face, hometown, even your favorite watering hole any given moment of every day or night. You can catch them almost anywhere, sharing their humor and experiences in person. Right here in NYC, some of our Stand Up NY regulars are taking their personal shows “on the road” (really like a couple blocks down or just around the corner into another borough) to bring stand up comedy to a range of new venues and crowds. Check out Mike Lasher’s produced shows! The next upcoming one is here at Stand Up NY, don’t miss Drinking Games on Saturday at 11:45PM or catch him at Prohibition on May 4th for Speak Easy Comedy. Caitlin Peluffo & Emily Winter host a show in Bushwick at Rose Gold on April 25th at 7:30PM. Jeff Scheen & Jeff Arcuri host a weekly Sunday 9PM evening show at Beauty Bar. Matt Koff participates in a bar show at Wicked Willy’s on April 24th. If you miss that show catch him on Saturday April 28th at 6PM here at Stand Up NY! If you haven’t yet, you may want to check out Yannis Pappas Instagram… like, WOW, you could scroll through the humor for a lifetime! In particular, I want to make note of “Bay Ridge Boys 5”, a perfect example of bringing comedy straight into your face/palm, or perhaps it should be the video of Chris Distefano absolutely nailing karaoke. I really can’t decide what’s better, but I am definitely going to be here when he does Stand Up NY Next Saturday at 10:30PM! With their down time stand up comedians all over this great city and beyond are ramping up their own produced shows to bring stand up comedy to you anywhere and everywhere…. 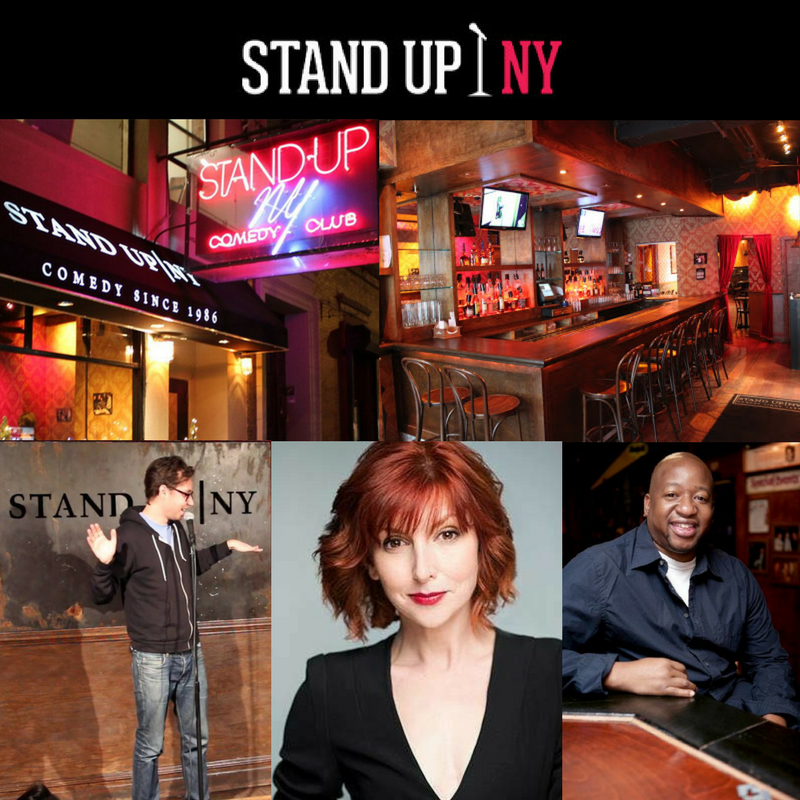 Did I mention that Stand up NY will be joining the ranks with our FIRST EVER POP UP SHOW! Information coming soon so be sure to follow us on social media for the secret details! The National Comedy Center… everything to expect and more! BysunyAdmin15on April 4, 2018 withComments Off on The National Comedy Center… everything to expect and more! 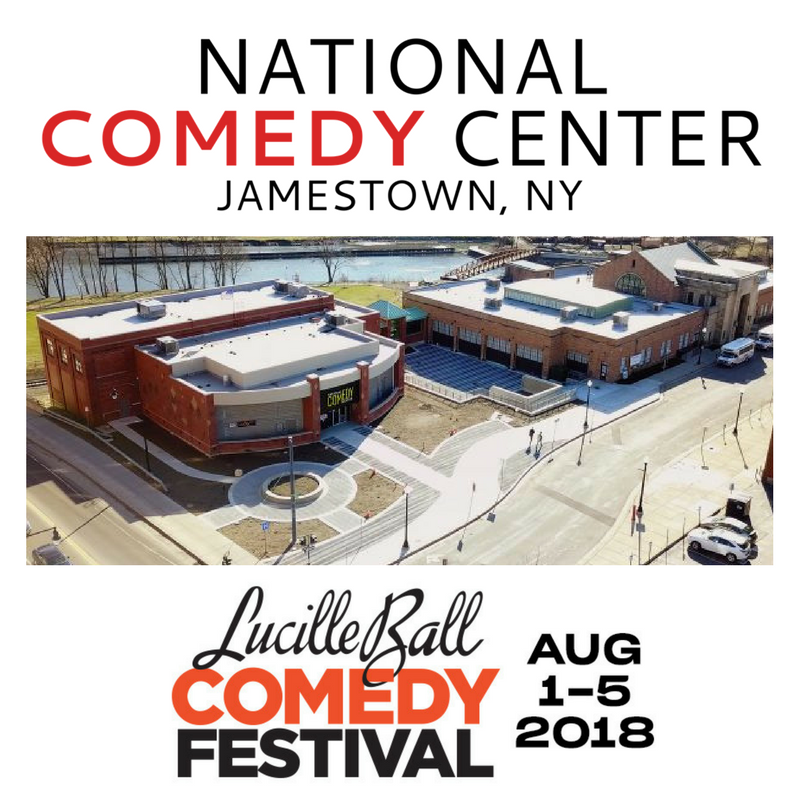 The National Comedy Center has set its opening dates to coincide with the Lucille Ball Comedy Festival on August 1st – 5th, 2018 in Jamestown, NY (Lucy’s hometown)! This will be the first national-scale, non-profit cultural institution and visitor experience dedicated to comedy as an art form. This past week US Senator Charles Schumer made an announcement to push for a congressional designation for the Center, which would officially make it the nation’s cultural institution dedicated to the art of comedy and recognizing it as the only institution with the mission of preserving, protecting, and showcasing the art of comedy and its role in culture. Watch this sneak preview of Schumer’s announcement and his tour inside the Center! The center is expected to host over 100,000 annual visitors and bring in an $23 million annual stabilized economic impact on the region. While also finally achieving Lucille Ball’s vision for her hometown becoming a destination for the celebration of the comedic arts. Stay tuned for our coverage of the Lucille Ball Comedy Festival comedian line up – we will be back to highlight all the NYC regulars and friends participating this year! We hope everyone is able to experience authentic stand up comedy and appreciate its vast history and development in american culture. So join us before the opening for a glimpse into comedy history in the making at one of the oldest comedy clubs in NYC! For future shows please purchase tickets here or make a reservation today. If you want your own opportunity to make your way into the stand up comedy world, join us for our Open Mics every weekday, Monday – Friday at 5PM. Think you’ve already got a great set going? Then check out our Bring It show every Saturday at 6PM with more info on how to sign up here.